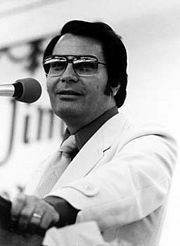 Jonestown was a Marxist settlement in northwestern Guyana founded by Jim Jones of the Peoples Temple, mostly comprised of emigres from the Unites States. It gained lasting international notoriety in 1978, when nearly its whole population died in a mass suicide orchestrated by its founder. 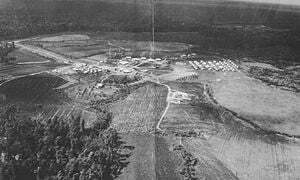 Named after Jones, the settlement was founded in 1974, on his initiative about seven miles (11 km) southwest of the small town of Port Kaituma. It had a population of almost a thousand at its height, with most residents having lived there less than one year. There, Jones established what he described as a "socialist paradise," but reports soon reached the United States of harsh conditions, abuse, armed guards, and people being forced to remain in Jonestown against their will. 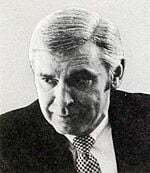 In November 1978, United States Congressman Leo Ryan and a group of reporters and relatives of Jones' followers visited Jonestown to investigate the alleged abuses. On November 18, while attempting to fly out, Ryan and four others were killed at an airstrip by members of the Peoples Temple. That evening, Jones led his followers in their mass murder-and-suicide. Over 900 men, women, and children perished, Jones among them. 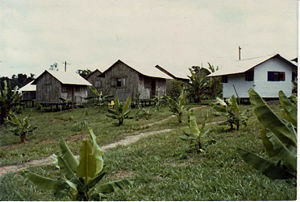 After a period of abandonment, the Guyanese government allowed Hmong refugees from Laos to re-occupy the settlement for a brief period in the early 1980s, but after that it was deserted. It was mostly destroyed by a fire in the mid-1980s, and afterward left to decay and be reclaimed by the jungle. The Peoples Temple was formed in Indianapolis, Indiana, during the mid-1950s and later became affiliated with the Disciples of Christ under Jones' leadership. 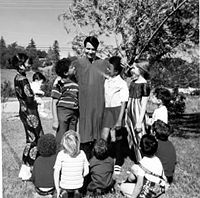 Beginning in 1965, Jones and about 80 followers moved to Redwood Valley in Mendocino County, California, where he taught a blend of Christianity, hippie philosophy, and Marxist liberation theology. In 1972, Jones moved his congregation to San Francisco and opened another church in Los Angeles, California. In San Francisco, Jones vocally supported prominent liberal-left political candidates. He was appointed to city commissions and was a frequent guest at political events. He also supported charity efforts and recruited new members from the ranks of the poor into his interracial and intercultural congregation. Soon, scandals regarding tax evasion, drug use, and abuse of his members convinced Jones that the capitalist "establishment" was inevitably turning against him, and he began planning a relocation of the Temple outside the U.S. In 1974, he leased over 3,800 acres (15.4 km²) of jungle land from the Guyanese government. Jones encouraged all of his followers to move to Jonestown, also called the "Peoples Temple Agricultural Project," in 1977. Jonestown's population increased from 50 members in 1977 to more than 900 at its peak in 1978. Many of the Peoples Temple members believed that Guyana would be, as Jones promised, a "socialist paradise." However, the life they found there was anything but ideal. Work was performed six days a week, from seven in the morning to six in the evening, with humid temperatures that often reached over 100 degrees Fahrenheit (38 degrees Celsius). According to some, meals for the members often consisted of nothing more than rice and beans. As with other communist agricultural projects, children were raised communally and both children and adults also taught to address Jones as "Father" or "Dad." Up to $65,000 in monthly U.S. welfare payments to Jonestown residents was allegedly appropriated by Jones. Local Guyanese related stories about harsh beatings and a well into which Jones had misbehaving children thrown in the middle of the night. Jones kept in communication with left-wing leaders and governments, and during a 1977 custody battle with the parents of an underage Jonestown resident, University of California radicals Angela Davis and Huey Newton communicated via radio-telephone to the Jonestown crowd, urging them to hold strong against the "conspiracy." Jones made radio broadcasts stating "we will die unless we are granted freedom from harassment and asylum." Guyana Deputy Minister Ptolemy Reid finally assured Jones' wife Marceline that Guyanese Defense Forces would not invade Jonestown. Medical problems such as severe diarrhea and high fevers struck half the community in February 1978. According to the New York Times, copious amounts of drugs such as Thorazine, sodium pentathol, chloral hydrate, Demerol, and Valium were administered to Jonestown residents, with detailed records being kept of each person’s drug regimen. Various forms of punishment were used against members considered to be serious disciplinary problems, and some members who attempted to run away were allegedly drugged to the point of incapacitation. 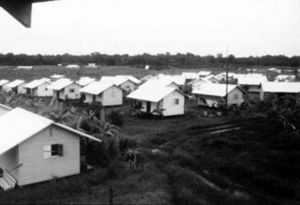 Increasingly alienated from the U.S. and looking to nations like Cambodia, North Korea, and the Soviet Union as models, Jones reportedly had armed guards patrolling the compound day and night both to protect the compound from the CIA and to prevent unauthorized travel by Jonestown's own residents. Jones' recorded readings of the news were part of the constant broadcasts over Jonestown's tower speakers. Jones' news readings usually portrayed the United States as a "capitalist" and "imperialist" villain, while casting "socialist" leaders, such as former North Korean dictator Kim Il-sung and Joseph Stalin in a positive light. On October 2, 1978, Feodor Timofeyev from the Soviet Union embassy in Guyana visited Jonestown for two days and gave a speech. Jones stated before the speech that "For many years, we have let our sympathies be quite publicly known, that the United States government was not our mother, but that the Soviet Union was our spiritual motherland." Everyone, including the children, was told to line up. As we passed through the line, we were given a small glass of red liquid to drink. We were told that the liquid contained poison and that we would die within 45 minutes. We all did as we were told. When the time came when we should have dropped dead, Rev. Jones explained that the poison was not real and that we had just been through a loyalty test. He warned us that the time was not far off when it would become necessary for us to die by our own hands. Reports of these and other abuses began reaching the U.S. through relatives and Peoples Temple members who succeeded in leaving Jonestown. Charges included human rights violations, false imprisonment, the confiscation of money and passports, mass suicide rehearsals, and the murder of seven attempted defectors. Relatives became increasingly concerned that members were being held against their will or had been brainwashed or drugged into submission by an increasingly unstable Jones. On Tuesday November 14, 1978, Congressman Leo Ryan, a Democrat from San Francisco, flew to Guyana along with a team of 18 people consisting of government officials, media representatives, and members of the anti-Jones group "Concerned Relatives of Peoples Temple Members." The group also included Richard Dwyer, Deputy Chief of Mission of the U.S. Embassy to Guyana at Georgetown, believed by some to have been a CIA officer. After the delegation's arrival in Guyana, Jones' lawyers in Georgetown, Mark Lane and Charles Garry, refused to allow Ryan's party access to Jonestown. Ryan had previously visited the Temple office in the suburb of Lamaha Gardens, but his request to speak to Jones by radio was denied. On Friday, November 17, Ryan informed Lane and Garry that he would leave for Jonestown at 2:30 p.m., regardless of Jones' schedule or willingness. Accompanied by Lane and Garry, Ryan flew to Port Kaituma airstrip, six miles (10 km) from Jonestown. Only Ryan and three others were initially accepted into Jonestown, but the rest of Ryan's group was allowed in after sunset. At first the visit was cordial. Jones organized a reception and concert for the Ryan delegation, and its members were given guided tours around the community. Some of the residents were reportedly angry with the visitors, seeing Ryan as a hostile investigator in cahoots with the CIA and resenting the presence of reporters and relatives who were perceived as hostile to the community. Jones reportedly commented that he felt like a dying man and ranted about government conspiracies and martyrdom. At some point in the evening, two Peoples Temple members, Vernon Gosney and Monica Bagby, passed a note to addressed to Ryan, reading "Please help us get out of Jonestown." That night the primary Ryan delegation (Ryan, his legal adviser Jackie Speier, U.S. embassy official Dwyer, and Guyanese official Neville Annibourne) stayed in Jonestown. Members of the press corps and the "Concerned Relatives" went to Port Kaituma and stayed at a small café. Meanwhile, back in Jonestown, feelings of an adversarial confrontation were rising, and in the early morning of November 18, more than a dozen Temple members walked out of the colony in the opposite direction from Port Kaituma. When the reporters and the Concerned Relatives group arrived back at Jonestown, Jones' wife Marceline gave a tour of the settlement for the reporters. However, a dispute arose when the reporters insisted on entering the home of an elderly black woman, and other residents accused the press of being racist for trying to invade her privacy. Jim Jones, who was reportedly severely addicted to drugs, woke late on the morning of November 18, and the NBC crew confronted him with Vernon Gosney's note. Jones angrily declared that those who wanted to leave the community would lie and would attempt to "destroy Jonestown." Then two more families stepped forward and asked to be escorted out of Jonestown by the Ryan delegation. Jones reportedly remained calm and gave them permission to leave, along with some money and their passports, telling them they would be welcome to come back at any time. That afternoon Jones was informed that two other families had defected on foot. While negotiations proceeded, emotional scenes developed, as some family members wished to leave and others, determined to stay, accused them of betrayal. Al Simon, an Amerindian member of the Peoples Temple, walked toward Ryan with two of his small children in his arms and asked to go back with them to the U.S., but his wife Bonnie denounced her husband over Jonestown's loudspeaker system. Meanwhile, enough people had expressed a desire to leave on Ryan's chartered plane that there would not be room for them in one trip. Ryan attempted to placate Jones by informing Jones' attorney that he would issue a basically positive report, noting that none of the people targeted by the Concerned Parents group wanted to leave Jonestown. Jones, however, reportedly had grown despondent, declaring that "all is lost." Ryan planned on sending a group back to the capital of Georgetown and staying behind with the rest until another flight could be scheduled. Then Temple member Don Sly attacked Ryan with a knife, allegedly on Jones' orders. Although the congressman was not seriously hurt in the attack, he and Dwyer realized that both the visiting party and the defectors were in danger. Shortly before departure, Jones loyalist Larry Layton asked to join the group that was leaving, but other defectors voiced their suspicions about his motives, which Ryan and Speier disregarded. Ryan's party and 16 ex-Temple members left Jonestown and reached the nearby Port Kaituma airstrip at 4:30 p.m., where they planned to use two planes (a six-passenger Cessna and a slightly larger Twin Otter) to fly to Georgetown. Before the Cessna took off, Layton produced a gun he had hidden under his poncho and started shooting at the passengers. He wounded Monica Bagby and Vernon Gosney, and was finally disarmed after wounding Dale Parks. About this time, a tractor appeared at the airstrip, driven by members of Jones' armed guards. Jones loyalists opened fire while circling the plane on foot. Ryan was shot dead along with four journalists. A few seconds of the shooting were captured on camera by NBC cameraman Bob Brown, whose camera kept rolling even as he was shot dead. Ryan, three news team members, and 44 year old Jonestown defector Patricia Parks were killed in the few minutes of shooting. Jackie Speier was injured by five bullets. Steve Sung and Anthony Katsaris also were badly wounded. The Cessna was able to take off and fly to Georgetown, leaving behind the damaged Otter, whose pilot and co-pilot also flew out in the Cessna. The Jonestown gunmen, meanwhile, returned to the settlement. Journalist Tim Reiterman, who had stayed at the airstrip, photographed the aftermath of the violence. Dwyer assumed leadership at the scene, and at his recommendation, Layton was arrested by Guyanese state police. The ten wounded and others in their party gathered themselves together and spent the night in a café, with the more seriously wounded cared for in a small tent on the airfield. A Guyanese government plane came to evacuate the wounded the following morning. Six teenage defectors attempted to hide in the adjacent jungle until help arrived and their safety was assured, but became lost for three days and nearly died, until they were found by Guyanese soldiers. A great deal remains either unknown or controversial concerning what happened in Jonestown on the evening of November 18, 1978. What is known for certain is that 909 people died in Jonestown that night, including 287 children. Most of the dead apparently died from ingesting grape-flavored Flavor Aid, poisoned with Valium, chloral hydrate, Penegram, and presumably (probably) cyanide. About 45 minutes after the Port Kaituma shootings, the airstrip shooters, numbering about nine, arrived back in Jonestown. Their identities are not all certainly known, but most sources agree that Joe Wilson (Jones’ head of security), Thomas Kice Sr., and Albert Touchette were among them. In the early evening, Jones called a meeting under the Jonestown pavilion. A tape recording found at the scene recorded about 43 minutes of Jonestown's end. When the community gathered, Jones told the assembly: "They'll torture our children, they'll torture some of our people here, they'll torture our seniors. We cannot have this." He then put into effect the mass suicide plan the group had previous rehearsed, saying: "All it is, is taking a drink to take… to go to sleep. That's what death is, sleep." Several community members also made statements that hostile forces would convert captured children to fascism and supported the decision to commit "revolutionary suicide." Jones argued with one Temple member who actively resisted the decision for the whole congregation to die: Christine Miller is heard objecting to mass death and calling for an airlift to Russia. After several exchanges, in which Ryan explained that "the Congressman is dead," she backed down, apparently after being shouted down by the crowd. The children were poisoned first, sometimes accompanied by their parents. The poisoned drink was squirted into children's mouths with plastic syringes. Survivor Stanley Clayton, who was assisting already-poisoned children, reports that some children resisted and were physically forced to swallow by guards and nurses. According to Clayton, the poison caused death within about five minutes. After consuming the drink, people were escorted away and told to lie down along walkways and areas out of view of the people who were still being dosed. In response to reactions of seeing the poison take effect, Jones commanded: "Stop this hysterics. This is not the way for people who are socialists or Communists to die. No way for us to die. We must die with some dignity." Three more survivors were brothers Tim and Mike Carter (30 and 20), and and Mike Prokes (31) who were given luggage containing $500,000 U.S. currency and documents, which they were told to deliver to Guyana’s Soviet Embassy, in Georgetown. They soon ditched most of the money and were apprehended heading for the Temple boat at Kaituma. One document read: "The following is a letter of instructions regarding all of our assets (balances totaling in excess of $7.3 million) that we want to leave to the Communist Party of the Union of Soviet Socialist Republics." 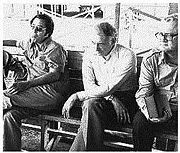 Before the killing began, Jones' two lawyers, Charles Garry and Mark Lane, talked their way past Jonestown's armed guards and made it to the jungle, eventually arriving in Port Kaituma. While in the jungle near the settlement, they heard cheering, then gunshots. This observation concurs with the testimony of Clayton, who heard the same sounds as he was sneaking back into Jonestown to retrieve his passport. According to Guyanese police, Jones and his immediate staff, after having successfully carried out the "revolutionary suicide," came together and killed themselves and each other with handguns, after giving a final cheer. However, only two people were reported to have gunshot wounds: Jim Jones and Annie Moore—one wound each. The first headlines reporting the event claimed that 407 Temple members had been killed and that the remainder had fled into the jungle. This death count was revised several times over the next week until the final total of 909 was reached. The sheer scale of the killings, as well as Jones' socialist leanings, led some to suggest CIA involvement. In 1980, the House Permanent Select Committee on Intelligence investigated the Jonestown mass suicide and announced that there was no evidence of CIA involvement at Jonestown. Most government documents relating to Jonestown, however, remain classified. Guyanese Chief Medical Examiner Dr. Leslie Mootoo and his assistants examined 137 bodies soon after the tragedy. He concluded that all but two or three of these bodies were victims of murder. However, no determination was made as to whether those injections initiated the introduction of poison or whether they were so-called "relief" injections to quicken death and reduce suffering from convulsions from those who had previously taken poison orally. Mootoo and American pathologist Dr. Lynn Crook determined that cyanide was present in some of the bodies, while analysis of the contents of the vat revealed tranquilizers and two poisons: potassium cyanide and potassium chloride. He also reported that many needles and syringes were found on tables and on the ground around the area, many with bent or broken needles, suggesting struggles among unwilling adults. Plastic cups, Flavor-Aid packets and syringes, some with needles and some without, littered the area where the bodies were found. However, only seven bodies of 913 were autopsied, including Jim Jones, Annie Moore, and Dr. Lawrence Schact. Annie Moore left a note which in part stated: "We died because you would not let us live in peace." Marceline Jones left a note indicating that she wished to "leave all bank accounts in my name to the Communist Party of the USSR. I especially request that none of these are allowed to get into the hands of my adopted daughter, Suzanne Jones Cartmell." At 4:44 a.m. local time (just about 8 hours after the deaths) the CIA's National Operations and Intelligence Watch Officers Network broadcast news of "mass suicides" at Jonestown, according to an official report from January 1979. But Guyanese soldiers were the first to arrive on scene, and they did not arrive until more than 12 hours after that transmission. A cloud of secrecy descended on the further investigation of the events. President Bill Clinton signed a bill into law in the 1990s, mandating the expiration of secrecy in documents after 25 years. The majority of Jonestown documents remain classified, despite Freedom of Information requests from numerous people over the past three decades. Larry Layton was found not guilty of murder by a Guyanese court, employing the defense that he was "brainwashed." He was later extradited to the U.S. and put in prison on lesser charges. He is the only person ever to have been held responsible for the events at Jonestown. He was paroled 24 years later, in 2002. The area formerly known as Jonestown was at first tended by the Guyanese government, which allowed its re-occupation by Hmong refugees from Laos, for a few years in the early 1980s, but it has since been altogether deserted. It was mostly destroyed by a fire in the mid-1980s, after which the ruins were left to decay. The buildings and grounds were not taken over by local Guyanese people because of the social stigma associated with the murders and suicides. The Jonestown tragedy created a wave of fear about "cults." As a result, several new religious movements with no history of violence reported increased persecution, anti-cult movements received thousands of inquiries from concerned relatives, and a new wave of illegal "deprogramming" attempts were directed at NRM members in an effort to "save" them from the dangers of alleged brainwashing and possible mass suicide. ↑ PBS, Timeline: The Life and Death of Jim Jones. Retrieved October 16, 2008. ↑ New York Times: Nov 29, 1978. ↑ New York Times, Dec 29, 1978. ↑ Deborah Layton, Poison: Affidavit of Deborah Layton Blakey, 1978. Retrieved October 16, 2008. ↑ Laurie Kahalas, Was there a C.I.A. Conspiracy to Destroy Jonestown? Retrieved October 16, 2008. ↑ Michael Taylor and Don Lattin, Most Peoples Temple Documents Still Sealed. Retrieved October 16, 2008. ↑ Miami Herald, "Coroner Says 700 Who Died in Cult were Slain," Miami Herald, December 17, 1978. ↑ "Guyana Operations," After-Action Report, November 18-27, 1978, prepared by the Special Study Group, Operations Directorate, USMC Directorate, Joint Chiefs of Staff (distributed January 31, 1979). Appendix B, "Chronology of Events." ↑ CENSUR, Request to Declassify Jonestown Documents. Retrieved October 16, 2008. ↑ SDSU, What happened to Jonestown. Retrieved October 16, 2008. Kerns, Phil, and Doug Wead. People's Temple, People's Tomb. Plainfield, NJ: Logos International, 1979. ISBN 0882703633. Kilduff, Marshall, and Ron Javers. The Suicide Cult: The Inside Story of the Peoples Temple Sect and the Massacre in Guyana. New York, NY: Bantam Books, 1978. ISBN 0553129201. Krause, Charles A., Laurence M. Stern, Richard Harwood, and Frank Johnston. Guyana Massacre The Eyewitness Account. New York, NY: Berkley, 1978. ISBN 0425042340. Moore, Rebecca. A Sympathetic History of Jonestown: The Moore Family Involvement in Peoples Temple. Lewiston, New York, NY: E. Mellen Press, 1985. ISBN 0889468605. Naipaul, Shiva. Journey to Nowhere A New World Tragedy. New York, NY: Simon and Schuster, 1981. ISBN 0140061894. Reiterman, Tim, and John Jacobs. Raven: The Untold Story of the Rev. Jim Jones and His People. New York, NY: Dutton, 1982. ISBN 0525241361. United States. The Assassination of Representative Leo J. Ryan and the Jonestown, Guyana, Tragedy: Report of a Staff Investigative Group to the Committee on Foreign Affairs, U.S. House of Representatives. Washington, DC: U.S. Govt. Print. Off, 1979. OCLC 6331602. This page was last modified on 5 June 2018, at 23:02.